As from 1838 the monks of the abbey started brewing Westvleteren Trappist Beer. In 1945, the abbot decided to decrease the production to a lower level just enough to livelihood themselves. One year later, the beer was brewed under licence in the brewery Sint-Bernardus in Watou. 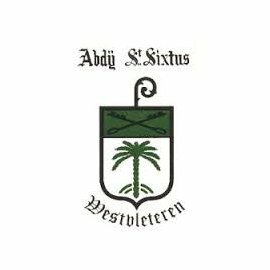 Not until 1992 the Westvleteren Trappist beers again were brewed in the Sint-Sixtus abbey. The year production is limited to 4800 HL. Nowadays 3 Westvleteren Trappists are brewed: Blond, The 8 and The 12. The abbey and the brewery are not accessible for the public. You only can buy these trappists at the gate of the abbey after making a phone reservation. This beer is very hard to get!